Venue: The security issues are really annoying, but it's not the con's fault. It's also pretty confusing to get around, but the venue itself is really nice. Alarms were going off for a solid 10-15 minutes on one of the days, which wasn't great.. Layout: The layout towards the back wasn't ideal, with a bunch of tables facing an empty security area, but it still seemed like traffic through was nice throughout most of the AA! Staff: Extremely nice, well-organized, and helpful, but I have one big complaint: Stickers were banned, but I saw people selling them all day Friday and there was only a reminder announcement on Saturday. If they're going to have rules like that, I really wish they would enforce them evenly so people following the rules don't get punished by missing out on sticker sales while people ignoring the rules get a full day of sales of banned items. Attendance: Amazing! This was the best crowd I've ever seen at a con. Ready to spend, super nice, super appreciative, super friendly. Everyone was so nice that it made all of the stress worth it. Affordability: Probably the most expensive con I've ever attended, with a cross-country flight and expensive hotels in the area. Even with that, though, no regrets! If you can afford it and are confident in your ability to make back the money, definitely go, but if the expenses are a big obstacle, probably look at less expensive conventions. I'm going to have to respectfully disagree with the above commenters. Anime Boston... without a doubt is one of the most shoddily run cons I have ever had the misfortune of attending in my life. The lines especially this past year were INSANE. People waiting for hours upon hours and many of them leaving before they even received a badge. After some managed to endure the hellish wait for a badge people were greeted with ANOTHER wait for security. They had bag check lines AND metal detectors! Look, I understand that after the Marathon bombings they want to be secure, but there has to be another way. The bag check got so bad that everyone the next day went without them and backed up the line for people without bags. Unbelievable. And I swear there are genuine safety concerns if this continues. If say, a fire started, or something to that effect and people panicked? I guarantee you people would stampede and get seriously hurt. IT. ISN'T. SAFE. THEY NEED TO MOVE THEIR VENUE. The Hynes Convention Center was a perfect fit for AB... back in 2007. Now? The con space is TOO. DAMN. SMALL. They should have moved back in 2008! My friends and I have nicknamed it 'Hallway Con' because that's all it is. Hallways. There's no comfortable place to sit and relax with other guests because it's NOTHING BUT HALLWAYS. And yet AB continues to renew their contract with the Hynes. AB... what the hell??? 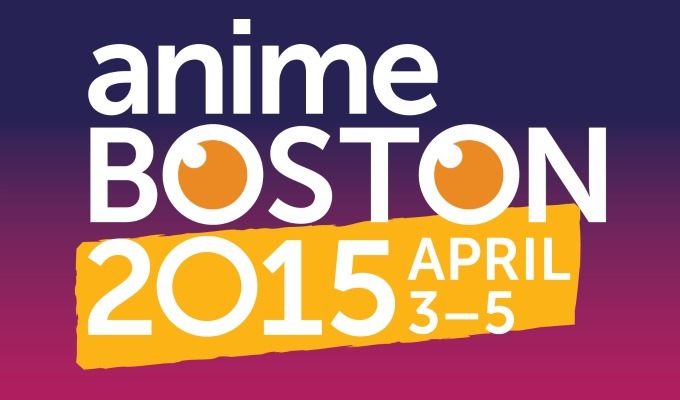 You have the Boston Convention Center that easily houses PAX East, WHY DON'T YOU MOVE??? Staff-- Okay... I'm going to get a bit controversial... but honestly, I've resigned myself to never getting into this con ever again so... screw it. I'm not a fan of the 'first-come-first serve' approach to artist alley registration when the con is this huge. I could at least have a bit more respect for them if they implemented something like ALA where the second you get to that registration screen, you pay upfront for that table. But not with AB... You submit after fighting over bandwidth with countless people, crashing the site, and palms sweaty from anxiety only to be told that you're application has been received and you have to wait for all the others to be complied in a 1st and 2nd wave... I will be honest. I find this fishy. I do not know how much faster I could POSSIBLY be in this situation but I have not gotten into this con on my own since 2011. And yet... certain people are ALWAYS there... hm. Another important note is AB ALWAYS has 'last minute' tables they wait a week to inform artists about and instead of offering them some online method of reserving them, you just SHOW UP AND HOPE YOU GET ONE. Yeah... Last year, my friend waited over 5 hours to get her hands on a half table. There were several half tables available with one full 6 ft table up for grabs. After hours of waiting and lugging art supplies up to register, what happens? Why a friend of the con runners approaches the table, cutting in front of all who waited like they were told and asked for that 6 ft table... and he got it. I'm... JUST SAYIN'. Layout-- At first glance the layout of the AA seems... okay. It's passable. Lots of space for customers to walk around. But then... you start looking closer and you realize like everything else, there are problems. First off you are... rather screwed if you get stuck along the edges of the artist alley. You are practically squashed against the wall and have to climb over people for bathroom or food runs. It's a bit ridiculous. Also god help you if you manage to get stuck against the left side wall. There is always a dance or a movie or some LOUD, BELLOWING noise emanating from that side that's sure to give you a headache if you wind up there. BUT well you are just sitting pretty if you manage to get into the squares in the middle. They're so spacious! So spacious in fact I was able to sneak into one a friend of mine was in and WOW, SO MUCH SPACE IN THE MIDDLE... SPACE THAT COULD BE USED FOR MORE TABLES... YEAH. Yeah so I'm not at all happy with their setup. They have more than enough room to reconfigure and make it so the poor people on the edges of the artist alley can actually move around behind their tables and MAYBE ADD SOME MORE PEOPLE. Just saying. Attedance-- AB's greatest gift they don't deserve. So many wonderful people attend this con and it's really wonderful for those who sell there because DAMN. People drop money like crazy, it's an artist's dream! That is of course if you can get in... which is honestly laughable at this point. I only hope with the ridiculously long lines this past year people become sick of AB's crap and demand better of them. Affordability-- Boston is unfortunately a pretty pricey city and the hotels are no exception. There's plenty of transportation though and the Prudential Center USED to have a cheap food court... only that's gone to make way for an pseudo Italian market. Thanks Mario Batali. Luckily, if you do manage to get in, you'll be making a significant enough return. Long story short. I do not recommend this convention at all. Do not go to this convention. Do not give these people your money. Yes, I'm bitter because I once regularly attended and loved it. This con gave me my first opportunity to sell my artwork and its a shame to see it devolve like this. AB needs to get their crap together because I'm just waiting. Just waiting for the news report on TV that some poor soul got trampled to death at the local anime convention due to overcrowding when people panicked. There needs to be changes. And until that happens I am never attending this con again. Let me just say that the staff at this con are all super nice and accommodating. They really treated artists with respect (provided us with free donuts in the morning, water station, etc) and were just really great overall. Everyone in Boston was just amazingly nice and sweet. Venue: It's cool how they make use of the whole area, everything is clearly labelled and the area is just really nice. Layout: I was located on the outer skirts of the room, and traffic seem to be the best around these areas. However if you're in the middle, it seemed to gather less traffic. The only complaint I have is that there wasn't a lot of space behind me due to pillars. Attendance: SOOO many people! Got a lot of attention on my art and everyone was so sweet and some kept coming back to buy more. Sales were definitely great and it was worth all the stress of prepping for it. Affordability: Boston is not cheap, hotel/flight/food, etc definitely was high and it worried me that I might not make enough profit but all was worth it by the end of Sunday. Verdict: I'd love to go back if I could, highly recommend. Anime Boston was my first convention as an attendee and I was grateful to participate in the alley last year, as well as this coming year. I am local so it doesn't affect me, but I imagine staying in hotels anywhere near the Hynes can be pretty pricey. The cost to vend went up a bit this year after many years at the same rate, but it's definitely still worth it and very reasonable for the size. The staff was very helpful. I didn't encounter any issues at all with check in/set up. They were great about skipping the lines/bag check. Only once throughout the whole weekend did a staff member give me a hard time but it remedied almost immediately by another staffer. The attendees are great! No one gave me any problems, everyone was super sweet. I feel like the Boston area is really appreciative of the arts so it's probably a better crowd compared to other places. I've heard that even original art does well here which isn't commonplace. My best selling print last year was an original piece. Venue is pretty great even though I get lost both outside and inside every year.. Lots of space, enough to accommodate all the people! I'll miss the food court this year but there are still lots of food places nearby. The alley is a nice size and I prefer it separate from the Dealer's as it is. As an attendee, I remember the layout a few years ago being wonky but it has since been resolved. In conclusion, if you can get in, GO! Sign ups are the only bad thing about this - I'm always shaking ..but still I prefer this method of sign ups (maybe because I'm good at it ahah...). The best con....if you can get into it. This convention is "the" vending convention of the year. I LOVE vending at this convention. The staff are superheros , the venue is nice (though beware the concert wall....they do a great job with the situation but there still is "the concert wall"....and it will deafen you that one night). The convention has a grocery store next to it, public transportation is ample and easy to navigate. Signups for AB are the Hunger Games...even Pro-Row a much more expensive option that appeals to veterans is like jumping into a pool of ravenous piranhas.....the server will go down, forms will break, battles will be fought, and you pretty much screwed if your time stamp isn't within the first few seconds. Simply one of the best Cons in the US. Staff is organized and nice, check at the con it self is always painless and fast and badge pick up at AA straight forward. The Hynes Convention center is smack dab in the middle of Boston surrounded by great food and pubic transportation. And of course, the customers are amazing. They want to spent on artists, they value us and respect us. Not many cons can boast that, where their audience actively seems to seek AA and prefer it over Dealer's. Only "downside" for newbies is that the hotels in the surrounding areas do tend to cost a pretty penny, one of the highest for cons. If you can afford it though, it's no obstacle. This is a stellar show. I've been going for several years. However, the cost to go and stay in the area is rather high. Not recommended for new or unskilled artists- the room is very competitive.